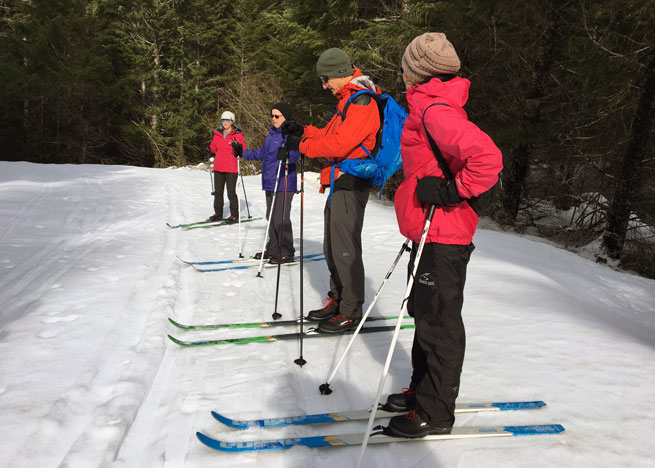 It is a scientifically proven guess that cross-country skiing with the Next Adventure Outdoor School can improve your love life, or, at the very least make your day way more enjoyable. It’s also a great way to explore the beautiful snow-covered landscapes of the Mt. Hood National Forest. If you can walk, you can ski! Cross-country skiing is easy to learn, but hard to master. Let the skilled guides at Next Adventure get you started off on the right foot (or ski). We provide the transportation, free gear rental, and instruction. All you need to bring is the fun, and maybe some warm clothes.